In Vedic astrology, our sages and Rishis propounded the various rules for delineation of horoscope. These rules and combinations will never fail to guide one to its proper goal if applied systematically. If any astrologer goes for a shortcut due to knowledge/ patience, he is likely to fail thus bringing disgrace to this great science. 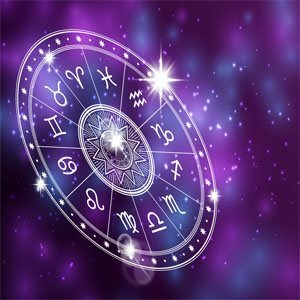 In this article we shall deal with a very interesting horoscope but before proceeding with the astrological part it is very essential to know few facts about consultant. This horoscope, details of which are provided later, belongs to a female native who after her marriage could not conceive for about two years and during these two years she along with her husband consulted eminent gynaecologists and the lady under went so many tests including biopsy etc. but to her dismay everything went wrong, which further led to mental agony. Whatever problem was with this native the medical profession could not find any answer. Astrology, the wonderful science, could locate the problem and it was declared that she will never be able to conceive hence she should go for adoption. Tithi : 15th Krishan Paksha(Amavasya),Yoga:Vajra, Nakshatra: Punarvasu, Dagdha Rashis: None, Yogi Planet:Moon, Avayogi:Mercury, Duplicate Yogi: Saturn, Lagna Nakshtra Lord:Poorvbhadrapad. In any horoscope Natal chart is most important to be studied independently.Next comes the Moon chart/Chander kundali. After studying these two charts one has to probe the most important divisional chart viz. Navamansa chart and lastly the relevant divisional chart. Since this case is being studied for the progeny purpose hence Saptamsha chart will have to be studied. Some of the astrologers give top priority to Ashtakvarga in prediction but experience shows its limitations. In Ashtakvarga SAV is reckoned to gauge the strength of requisite house while BAV tells about strength of house lord and the significator. Lagna Pisces at 01deg.14mnts and lagna lord is Jupiter, who happens to be the significator also. Lagna lord is placed in second house in sign Aries at 23deg.56mnts. in the star Bharni ruled by Venus who happens to be most malefic planet due its lordship over 3rd and 8th house. This is inimical planet to Jupiter thus some of the beneficence of Jupiter reduces. This Jupiter is under the aspect of Mars from 8th house. Mars, being first-rate malefic planet, when aspects any planet, a friend or foe, it swindles the good qualities of that very planet. Here this Mars has totally spoiled the best benefic planet Jupiter who happens to be lagna lord. At the same time it is signifying this too. To arrive at final conclusion one should study the 5th house from natal ascendant, from the Moon, from Jupiter and as per theory of Bhavat Bhavam 5th to 5th, which is 9th from lagana. Here position of house and house lord should be studied. Though classics have spared both the luminaries from their ownership over trik houses but experience shows that luminaries by being lords of trik bhavas do carry some of the venom, here the Sun rules over a trik bhava less ie.6th. The aspect of Rahu has been knowingly ignored since everybody is aware that whenever a planet is in conjunction with Ketu/Rahu it is always under the aspect of other node. But one thing worth mentioning here is that the aspect of Rahu has spoiled the Sun also. Thus it can be concluded that 5th house from lagna is totally spoiled due to heavy affliction. Next come the 9th house in Vedic astrology, which is 5th from 5th. This house contains sign Scorpio and ruler of this sign i.e. Mars is posited in 8th house, a trik bhava. As per classical rules of astrology whenever the lord of good bhava is posited in a trik bhava it loses its power to do good and whenever a lord of trik bhava is posited in good bhava that bhava stands spoiled. This 9th house has further been spoiled by the aspect of Saturn and Ketu. After studying 5th house from the Moon it is turn of 5th house from Jupiter, the significator. The 5th house from Jupiter has sign Leo whose lord the Sun is posited in 12th from it. This house is occupied by Mercury, 7th lord from janma lagana. This Mercury is a Badhak planet under the aspect of Gulika from 12th house and in this house as well as Mercury are also in Papakartari yog. All the houses under consideration and their lords suffer heavily so is the case of Jupiter. Hence first study of the chart has cleared the picture that the native will never be able to conceive. In Navamansa chart sign Cancer rising in lagna with lord of lagna the Moon posited in lagna. The Moon is Vargottam rendering strength to Navamansa lagna and the Moon. Lord of 5th house is Mars while the lord of 9th is Jupiter. Both the lords of 5th and 9th houses of Navamansa have exchanged their houses. All these factors show a rosy picture at a glance. Jupiter though lord of 9th is positive but due to its Mooltrikona sign falling in 6th it has turned out to be neutral or a bit malefic. Jupiter and the Moon suffers at the hands of 7th and 8th lord Saturn, most malefic planet for this lagna. Jupiter is conjunct with Gulika and it is further under the aspect of vitiated Ketu (Ketu has been vitiated by Mars and as per golden rules of astrology a planet associated with any other planet carries the aspect of that very planet). Mars, the 5th lord of Navamansa is conjunct with Ketu and aspected by Rahu. The Moon too suffers at the hands of vitiated Ketu) Thus all the houses, Planets and significator are spoiled due to heavy affliction. In case of divisional charts barring Navamansa chart, importance should be given to the lagna of respective divisional chart. In Saptamsha chart sign Virgo rises in lagna and its lord Mercury is in 12th house, the house of negation. Secondly in case if the karka be posited in the lagna of respective divisional chart one is deprived of significances of that very karka. Here the Karka Jupiter is posited in the lagna of Saptamsha Chart which again indicates denial. Our sages have suggested some methods by the permutation and combination of relevant planets. In case of females the longitudes of the Moon, Mars and Jupiter are added together and the sum obtained by the addition of said planets is known as "Kshetra Saphut". When this Kshetra Saphut falls in an odd sign in Natal chart and in Navamansa chart it indicates towards denial of progeny. In examples case the longitude of the Moon is 3 signs 02 deg.30 mnts, longitude of Jupiter is 12 signs 23 deg. and that of Mars is 6 signs 17deg.38 mnts. The sum of all the three longitude is 22 signs 16 deg. 04mnts, now subtract the multiple of 12 from this final longitude we get 10 signs.16 deg. 04 mnts which is Aquarius 16 deg. 04 mnts in natal chart and this obtains Aquarius Navamansa. On both counts it is in odd signs. In the natal chart Kshetra sphuta falls in 12th house a trik house and associated with Gulika and in Navamansa chart it falls in 8th house, another trik house and it is under the aspect of worst malefic planet Saturn. Last but not the least this is a very important dictum discussed in the classics that " When the lords of 5th and 8th are conjoined either in 5th or 8th house and at the same time 7th house is under the influence of Saturn and Rahu, by placement or aspect, the native concerned will never attain progeny". This is a very authentic yoga for the denial of progeny; this yoga applies to the horoscope discussed here. In this horoscope 5th lord the Moon and 8th lord Venus have conjoined in 5th house while Saturn occupies 7th house and this Saturn as well as 7th house are under the aspect of Rahu from 11th house, thus this yog applies verbatim in denying progeny. All the above findings are evident in the birth chart. Once birth chart denies an event the use of Divisional charts, shadbala and Ashtakvarga is irrelevant. These are supplementary tools to be used along with the natal chart just to confirm the authenticity of the outcome of natal chart. What a wonderful science this Astrology is! If an astrologer is well equipped with rules laid down by great sages, and has the knowledge about the conditions of applying these rules and yog etc., one is quite competent to guide the native for a right path to adopt. The 4th house is indicator of education and 5th house indicates intelligence. The 10th house indicating karma kashetra or karma sthana(House of profession). The 12th house indicating hospitals and beds. Role of technical planets viz. Mars, Saturn and Rahu. The Moon should be afflicted to make a person administer poison (drugs and medicines) and to perform surgery which is an important need of modem era. Here question arises, why the Moon should be afflicted and answer is to make the native cruel. Jupiter's involvement is also of utmost importance to make the native humane and benevolent. Thus the influence of Jupiter on the referred houses or on their lords is also necessary. The following factors require attention in the natal chart as doctor combinations in astrology (Rasi chart). The 5th house and the lord of 5th house. The lord of star/constellation in which lord of 5th house is placed. Placement of the lord of 5th house in a benefic or a malefic sign. Influence of malefic planets viz. Mars, Saturn and Rahu on the 5th house or its lord. Influence of benefic planets on the 5th house or the lord of 5th house. The 10th house and the lord of 10th house. The star /constellation lord in which the lord of 5th house is placed. Placement of the lord of 10th house in a sign owned by a malefic planet. Influence of malefic planet/planets on the 10th house on the lord of 10th house. Influence of a benefic planet/planets on the 10th house or the lord of 10th house. There should be a relation between 5th and 10th houses. The connection of the 5th and 10th with the 12th house. Afflicted Moon or the lord of 5th house. The Moon or the lord of 5th house associated with or aspected by malefics. The Moon or the lord of 5th house hemmed between malefics. The relationship as mentioned above could be direct or indirect viz. the lords of respective houses can conjunct, they can exchange their respective signs or one may be aspecting the 10th house while other may aspect the 5th house. This relationship can also be considered effective in case either of the said planet be posited in the star/constellation of the other planet. All the above mentioned houses and their lords should be studied on the same pattern as in case of Rasi/Natal chart. However, these planets can differ from those in Rasi/Natal chart. Jupiter's influence on the concerned houses or their lords should be given due importance due to its benevolent qualities. Important: Some of the classics as well as savants of astrology opine that Retrograde planet/planets should also be considered operating from the previous house from its actual location. Role of 6th house is also very important in the charts of natives associated with medical profession. The 6th house becomes operational through its lord by influencing the referral houses or their lords. Why 5th house? Since it denotes native's intelligence but at the same time it should always be kept in mind that being 12th house from the 6th house hence a strong 5th house or its lord is capable of negating factors indicated by the 6th house. Why 10th house? Karma kshetra or karma sthana in anybody's chart has its importance but apart from it 10th house is 5th from the 6th house hence it denotes intelligence and skill of diagnosing the disease in the horoscope prediction. Last but not the least, why 6th house? Being a natural rogasthana hence to counteract its negative qualities the influence of the lord of this house should never be overlooked. Now we shall apply the above rules by citing some examples of persons who are associated with this profession. Mars further aspects the 10th lord Sun by its 8th house aspect. In the career astrology, all the technical planets Mars, Saturn and Rahu are influencing the 5th lord by being conjunct and all these planets have influence on 10th lord (indirect) by being in its sign. Moon though is not being aspected or associated with any of the malefic planet but it has itself turned to be a malefic by being just 67deg apart from the Sun hence it is pakshabali weak. Saturn and Rahu both are influencing the lord of lagna hence the rule laid down by classics applies. 12th lord Venus is placed in 7th house aspecting lagna it is itself under the influence of malefic Saturn. Lord of 6th house is Mars who is influencing all the factors thus the role of 6th house comes into prominence. In Navamsha chart lord of lagna Saturn is placed in 12th house. Lord of 5th and 10th in the Navamsha chart is one and same ie. Venus and Venus is associated with malefic Mars. Here Moon is also afflicted due to its conjunction with Mars. Lord of 12th house of Navamsha chart is Jupiter who is placed in 6th house in conjunction with the 6th lord Mercury. Jupiter is aspecting 2nd, 10th and 12th houses. Thus all the combinations are present in Rasi as well as Navamsha chart to make the native a doctor. Native did her M.B.B.S. from India and at present she is doing her post-graduation in Australia. In this online horoscope, Lagna Taurus rises at 23deg23mnts. Lord of 5th is Mercury posited in the 4th from where it aspects the 10th house. Lord of 10th is Saturn who is placed in it its mooltrikona sign in 10th house. Thus lords of 5th and 10th both are mutually aspecting each other. Both these planets are influencing the lord of lagna Venus. Lagna is occupied by Jupiter and Rahu while Mars is placed in the 5th house thus all the houses viz. 1st, 2nd, 5th, 10th are interrelated. All the technical planets are influencing the referred houses and planets. Rahu along with Jupiter is placed in lagna. Moon is afflicted by being in constellation Mrigshira ruled by Mars and is hemmed between Rahu and Sun. Lord of 6th house is Venus who aspects the 10th house and 10th lord and in turn it is associated with 5th lord. Thus the prominence of 6th house is visible. Lord of 12th is Mars who is placed in 5th house from where it aspects the 12th house. The 10th lord Saturn also aspects the 12th house. The 12th lord Mars is under the aspect of Jupiter. In Navamsha chart Leo is rising in lagna and lord of navamsha lagna is placed in 2nd house along with 5th lord Jupiter. The lord of 2nd house of navamsha chart is placed in the 10th house and it is under the aspect of Jupiter. 10th lord of Navamsha chart is placed in the 11th house from where it is aspecting the 5th house while 5th lord Jupiter aspects the 10th house thus there is a powerful link between 1st, 2nd, 5th and 10th houses. Moon is afflicted by the aspect of Rahu from 11th house, Saturn from 9th house while Mars aspects it from 12th house. Lord of 6th house of Navamsha chart is Saturn. Saturn aspects 6th house by its 10th house aspect and 10th lord Venus by its 3rd house aspect and the Moon by its 7th house aspect. Thus all the rules discussed above apply while the prominence of 6th house again comes into picture. Native is a M.D. doctor employed with a reputed hospital of the city. Sign Capricorn rises in lagna at 08 deg 42 mnts. Lord of 5th and 10th houses is Venus who is posited in 11th house. 5th house is occupied by lord of lagna and 2nd house. Thus there is a direct relation between the lords of 1st, 2nd, 5th and 10th houses. Jupiter is placed in 12th house in its own sign Sagittarius. Though Jupiter is not forming any relation with said houses or their lords but Jupiter is placed in the constellation Poorva Phalguni which is ruled by 5th and 10th lord Venus, thus this establishes relations (indirect) with the 5th and 10th lord Venus. Moon is afflicted by the aspect of Saturn. Moon is placed in the constellation Punarvasu ruled by Jupiter. Lord of 6th house is Mercury posited in 11th house in conjunction with 5th and 10th lord Venus and Mercury is in a mutual aspect to lord of lagna and 2nd house Saturn. Thus all the requisite combinations are present in the chart. In Navamsha chart of this online horoscope, sign Pisces rises in lagna and lord of navamsha lagna Jupiter is placed in 8th house aspecting 2nd, 4th and 12th houses. Sage Parashara has made it very clear for dual lagnas only that in case lord of lagna and that of 10th is same in that case one should probe the 10th house from the 10th. In the present case 10th house and lagna both are ruled by Jupiter therefore above rule will apply. The 10th to 10th is occupied by sign Virgo ruled by Mercury. Mercury is placed in 10th house in a sign ruled by Jupiter while 4th house contains sign Gemini ruled by Mercury and 4th house is under the aspect of Jupiter. Lord of 2nd in Navamsha chart is Mars and it is placed in 5th house where it is conjunct with Saturn and the lord of 5th Moon. Saturn is 12th lord in Navamsha chart. Lord of 6th house of Navamsha chart is Sun who is posited in 4th house under the aspect of lord of lagna Jupiter. Thus 6th house again comes into picture. These are the few examples to explain the rules laid down by the sages and savants of astrology. In all the horoscopes almost all the rules are applicable. Apart from it, it is important to note that 6th house plays an important role in the career of a medical professional. I have found the role of 6th house very prominent in horoscopes of doctors. Now I leave it to fellow astrologers and students to find out the validity of this rule. Many a times a person is under the period (Maha Dasha) of a favourable planet and putting lots of efforts but to ones utter disappointment one is not able to get desired results in all the undertakings rather there are obstacles and failures in every sphere and undertakings as per career astrology. A time comes when ones starts feeling that the fate is being obstructed and infect. There is obstruction which is being caused by a planet who is lord of Badhakasthan. I am hesitatingly going to write here that most of well-known astrologers falter here since the implication of a Badhaka planet is very difficult to understand due to non-availability of literature on Badhkasthan and Badhkesh. Most of the classics simply tell about the Badhaka planet but that too in limitations. But the experience shows that a Badhaka planet is more harmful as compared to a debilitated planet. A debilitated planet gets its debilitation cancelled under certain norms as mentioned in classics. A lord of a trik Bhava is not as dangerous as a Badhaka planet is. A Badhaka planet is decided on the basis of sign falling in the ascendant. For a Moveable in Vedic astrology, (Char sign rising in ascendant 11th house is termed, as Badhakasthan and lord of sign falling in the 11th house is a Badhaka planet. For a Fixed (sthir) sign rising in ascendant 9th house is termed, as Badhakasthan and lord of sign falling in the 11th house is a Badhaka planet. For a Dual (Dawisawbhav) sign rising in ascendant 7th house is termed as Badhkasthan and lord of sign falling in the 7th house is a Badhaka planet. If one notices the scheme of Badhaka planets one will find Sun and the Moon do not escape the wrath of being Badhaka planet where as the most of texts exempt the lordship of Luminaries over trik bhavas. To make the things more clear it will be better to draw charts for each ascendant so that one can understand the concept of Badhaka. Some of the eminent astrologers have written their findings about Badhakas and complications created by the Badhaka planets. A very prominent astrologer of yesteryears was very much critical about the Badhaka planets. He was ready to compromise with debilitated planets, combust planets and with the lords of trik bahvas. While treating a debilitated planet he reconciled with cancellation of debilitation, while dealing with the lords of trick bhavas he opined that the planet loses some its vitality since the second sign must be falling in a good bhava and the same way he opined with combust planets(with due respect to the Sages who laid down some rules and norms about the cancellation of debilitation of planets but when applied in a practical way one will find these rules and norms have their limitations so is the case with combust planets. For All Moveable Signs……Aquarius is Badhkasthan…….Saturn is Badhaka. For Capricorn………………..Taurus is Badhkasthan………..Venus is Badhaka. For Gemini/Pisces………..Sagittarius is Badhaksthan….Jupiter is Badhaka. In this context one thing is discriminating and that is the author has exempted the Sun, the Moon and Mercury from being Badhaka lords,thus this findings of the author falters under so many reasons. Under the circustances one should adhere to first tabulated scheme of Badhkasthans and Badhaka Planets only. In case the11th house becomes a Badhkasthan one will suffer on account of gains during the period of the lord of sign falling in this house being a Badhaka lord. In case 9th house becomes a Badhkasthan one will suffer on account of good fortune during period of the lord of sign falling in this house being a Badhaka lord. In case the 7th house becomes a Badhkasthan one will be bereft of marital bliss during the period of the lord of sign falling in this house being a Badhaka Lord. But in real practice it has not been found. If this is the case, then what about the Badhkasthan and Badhaka lord? Answer to this question is that the Badhaka planet gives bad to worst results under some rules and when these rules are applicable to the Badhaka lord in that case one will not get any respite in one’s undertakings with putting extra efforts. The author of “Jatka Parijat” Volume2 and Sloka no.48 mentioned that a Badhaka planet is complete Badhaka only when it is associated with a “Kharesh” ie. Lord of Khara sign. Author has gone to te extent that in case two or more than two Khara planets influence the Badhaka lord by association or aspect the major period or the sub period of this Badhaka planet may prove fatal even. As per the author the lord of 22nd Drekkana and lord of 64th Navmamsha is known as Khara planets (Most of the authors suggest to reckon 22nd Drekkana and 64th Navmamsha from the natal Moon only but many a times 64th Navmamsha from the natal ascendant play a major role) A Badhaka planet associated with or aspected by Gulika becomes a prominent fatal. A Badhaka planet under the aspect of or associated with the lord of 22nd Star(Nakshatra) from one’s natlal Star(Here Star abhijit should be included). This 22nd Star(Nakshtra) is known as “Vainashishik Nakshtra”. A Badhaka planet associated with or aspected by the lord 88th Navamamsha is also harmful since 22nd Nakshtra(Vainashik Nakshtra) falls in this Navamamsha. A Badhaka planet associated with or aspected by Rahu is equally fatal. In this context Rahu is more dangrous to prduce evil as compared to Ketu. This is a generalised study which gives appreciable results but even then it requires a lot of research so as to make it a rule. A Badhaka planet invariably harms the house it is placed in (in rules of becoming a Badhaka are met with) or a house it aspects or the house in which a Badhaka is placed and this house falling from a specific house under consideration when counted in a Zodiacal order, to be more more clear in a Badhaka planet is placed in the ascendant, it will give a bad constitution to the native. Same way if a Badhaka planet is placed in the 8th house it will give obstacles and loses in one’s profession during its period or sub period, a Badhka planet in 7th house when counted from ascendant will deprive one of marital bliss and so on. Now the question arises in Vedic astrology, that one person is born with Saturn as Badhaka, another with the Sun, another with Jupiter and so on with all the seven planets (Here Rahu and Ketu are not included since they do not have ruling on any sign and secondly they are known as shadowy planets (Chhaya Greh). Answer to this lies in karma theory and it is due to one’s past life’s karma one is born with a specific planet as a Badhaka planet.What type of bad karmas one has done in his past life so that one is boorned with that very planet as a Badhaka.